Professionalism, knowledgeable, assertive, focused, and experienced. 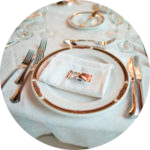 If you are planning an event, there is only one name you need to know — Libby Eydelman. Words cannot express the level of professionalism and work dedication. Weddings can be stressful but Libby manages to take the stress away and replace it with reassurance and simplicity. A true professional. Look no further. A BIG thank you! We hired Libby to help plan our wedding that just passed on June 3rd 2018 and she was outstanding! She was there every step along the way going over every detail with me and the day turned out even better than I could have even imagined!!! Libby was always very sweet and attentive and an absolute pleasure to work with and I can’t even imagine how I would have gotten through all the details without her! I would absolutely recommend her for anyone else who is planning their special day!!! We hired Libby to plan our wedding that took place on March 11 2018. The wedding was great as she promised. She did everything in her power to get things done like we wanted. 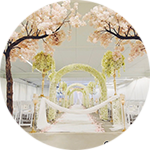 The best wedding planner strongly recommend!!! Libby was recommended to me by a friend whose wedding I attended last year. We really appreciated Libby’s foresight into the event and vision. She worked really hard to make sure our dream wedding came into fruition. We went by her recommendations and didn’t question them. Every vendor we met and told them we work with Libby they always said oh she is the best. That was very reassuring especially planning one of the most important days of your life. Lastly, a word of advice when Libby says “trust me I know what I am doing” actually trust her because she is the hardest working and passionate person and absolutely loves her job and knows what she is talking about. Libby, you did a fantastic job! The party was gorgeous, elegant and went without a glitch. Finally I got to see you in action first hand and I was really impressed. You are the best and you can organize my events anytime! Congratulations to all! We were planning a wedding for about 240 people in Toronto from our home in Chicago. We tried to handle most of the planning and as we got closer to the wedding date we knew we would need help with the day of coordination. The last thing we wanted was to feel overwhelmed. We reached out to Libby and were very impressed with her professionalism and responsiveness. 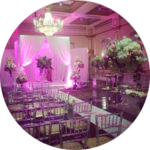 She did a great job of coordinating with our vendors and providing a timeline that was easy to follow for the big day. There were a few surprises along the way but Libby took charge and addressed them right away. Libby helped to make the day an enjoyable one that we will never forget! I would like to say thank you to Libby from “Upon Occasion” for helping organize our Big Birthday Party. Libby, I really appreciate your positive and upbeat attitude. You are very patient, resourceful, reasonable and accessible. 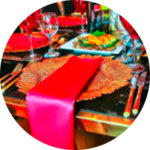 You know inside out every step of the process to organize an amazing party! I am very happy that I have followed your directions, that allowed me to be free from stress of the logistics and really enjoy my party! Libby is AMAZING! I started planning my wedding about 1 year ago. She is so professional and organized. I was a busy bride, so it was important for me to get a lot of help from the wedding planner, and she did more than that. She made sure that we booked the bigger items like DJ, MC, venue, florist as early as possible and I was able to relax and focus on my exams for a few month. The vendors she recommended are very client orientated. We connected with the photographer right away and booked them within the first meeting. The decor turned out so pretty and my friends are still talking about it a few weeks after the wedding. The flow of the entire night is perfect, everyone was in a great mood, and it’s just so on point, not too long, too boring, too much speech till the point people just want to leave. all my guests had a great time. She really did above an beyond for what she charger for. Libby, I honestly can’t thank you enough! Thank you for making my dream wedding a reality. Everything was taken care of and I never had to worry about one thing. Thank you for always responding to my questions in a timely manner and making sure everything was PERFECT! Everyone had a fantastic time at our wedding because you were there the entire night making sure everything was running smoothly. Thank you for being so organized and always staying on top of things. I never ever had to remind you about anything! You were a pleasure to work with and I am really sad that we won’t be having anymore meetings. Libby is AMAZING not only as a wedding planner but also as a person. Having never planned wedding before I had no idea about the first things and steps I needed to do. All I knew was only the venue were we planned to hold our wedding. By the time we hired Libby we had 2,5 months before the wedding. 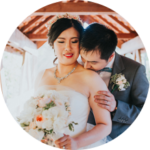 She took the whole process under control and helped us to alleviate any additional stress leading up to the wedding by providing helpful tips and resources that kept my husband and me on track for our big day. Through the planning process, Libby was attentive, organized, resourceful and punctual. Libby made our wedding day perfect. Libby thank you so much for all of your help, advice, guidance and support during our wedding planning process. You made all the overwhelming and daunting tasks manageable and made our special day one that we will both never forget. I highly recommend Libby absolutely to anyone who wants to have a beautiful and unforgettable celebration. I have no words to describe how happy I am that I hired you to plan my daughters Bat Mitzvah. You made her dreams come true. We could not have imagined a better party! You took all our ideas and brought them to life! So much work was done in such a short period of time. You put your heart and soul into every detail! Hiring Libby was one of the best decisions we’ve made for our PERFECT 300 people & 9 vendor wedding. 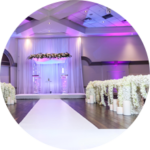 If you want your event to run smoothly, meticulously organized, and have all vendors on the same page, while having someone to rely on in case there are literally ANY questions, then Libby is your dream come true. Every single aspect of working with Libby was exceptional: she was professional, organized, punctual, supportive, and most importantly experienced. Libby’s experience shines through her work, she knows exactly who to call, what to ask and what to do next. She had everything prepared in advance for every meeting, asked the right questions, and resolved A TON of problems the day of the wedding between vendors. If you think you don’t need a planner like Libby, you’re super mistaken. 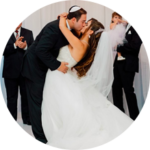 There are things you won’t be able to control or see during your wedding, and you’ll need someone to do all that lifting and be your eyes and ears to make everything run flawlessly. It was said that we had one of the best events of the year, and we highly highly commend Libby for that. 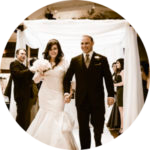 Without a doubt, don’t think twice, and go with the best wedding planner in Toronto – Upon Occassion. 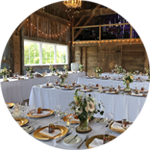 We hired Upon Occasion a week before the wedding and Libby, the owner, was able to put everything together within such a short time. We were worried that our ceremony would be a mess due to our large bridal party, but with Libby’s organization and firmness (that was truly needed) we were able to get everyone together for the rehearsals and as a result everything went smoothly and our ceremony was perfect!! She is prompt, professional, and knows what she is doing. My husband and I are so happy to have chosen Libby from Upon Occasion to be our wedding planner in 2014. She has greatly exceeded our expectation. My husband and I met Libby in 2013 through an introduction from our photographer. As I fell sick, we needed help in the wedding planning process. As I am a project manager for over a decade, I do have a strong expectation in the skill set of our wedding planner. 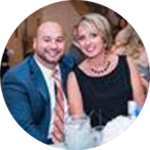 Libby is extremely seasoned in the wedding industry and we truly value her honesty throughout the wedding planning process to ensure we are making the right decision. Her network of vendors have helped us to save cost in various areas. Just like you, you probably feel these vendors may not be your fit but trust me, Libby’s network of vendors are all highly recommended in the industry and their work carries quality and cost effective. 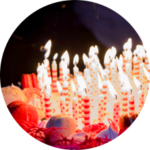 Not only Libby was able to carry out our dreams with the numerous amount of vendors we have requested – ranging from cake, decorations, musicians, and the various entertainers. 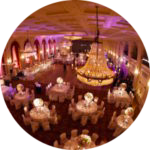 The venue we chosen was not a typical banquet hall which makes it challenging for some of our vendors. Libby has meticulously created the itinerary (which was changed well over 20 times), on the day of the wedding, the wedding was carried out as per the itinerary. Our arrival was late and our ushers were late, Libby immediately not only acted as our wedding planner, she acted as our ushers to ensure our guests are seated comfortably. We are truly blessed to have met Libby and hiring her was the best thing we have done for our wedding, we couldn’t think of anyone else that will do a better job. She truly hustled for us on our wedding day and making the special day such a special moment for us, one that we will remember for the rest of our lives! 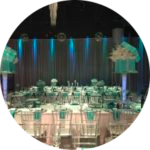 Hiring Upon Occasion to assist me in organizing my son’s bar – mitzvah was the best investment I ever made! Upon Occasion provides professional, efficient, expert, trustworthy, and knowledgeable services. I have planned many parties in the past and for the first time I got sit back, relax and enjoy the show at my own party. I was worry – free, stress-free, and felt confident in Libby to handle any unforseen issues. 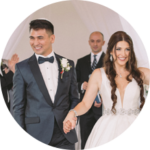 She provides an atmosphere that allows myself as the host to enjoy the party and entertain the guests, while she takes care of all the details that make the night go smoothly, fun and unforgettable for everyone! Now that I have experienced the services Libby has to offer I feel like I cheated myself out of getting the full enjoyment from my events. I am so grateful and thankful for all of Libby’s help in making my son’s bar mitzvah a great success. From the tiniest detail to the biggest possible disaster, Libby handles it all and I couldn’t have done it without her! 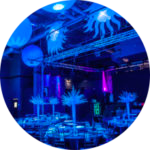 Libby is the eyes for things you cannot see, the mind for stuff you didn’t think of and the person you need there to make an absolute perfect event! Both me and my husband feel extremely fortunate that Libby planned our special day. From the very beginning Libby was approachable, professional and extremely effective. 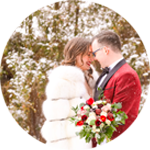 She put an incredible amount of time into planning our wedding (could not overemphasize this point) and went far and beyond of what I would ever expect from a wedding planner. She also connected me with vendors that provided incredible services ( I have never seen a wedding with more plentiful and beautiful flowers until my wedding) at reasonable prices. 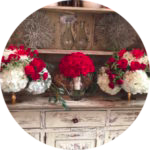 She has impeccable taste and made wonderful suggestions how to make my wedding more beautiful. During the planning of our wedding I was struggling with a medical condition and a very busy medial practice and Libby just made it all easier and possible for me. We got married at a beautiful restaurant where, unfortunately, the owners were not well organized or professional and I struggled with this but Libby took care of things to decrease my levels of stress. Importantly, both of our mothers who one could call old school and not easy to please were impressed with her hard work and commitment to our wedding. In the end, our wedding day was beautiful, stress free and everything turned out so much better than I could have ever anticipated thanks to Libby. We could not recommend her enough and will be forever thankful. Working with Libby was effortless. Professional, organized, creative, and friendly only begin to describe her skills. Libby made the most important day of my life a dream come true! She went above and beyond on several occasions and always made me feel so important. 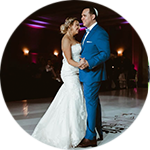 When the big day arrived, everything was AMAZING and went perfectly thanks to Libby and her dedicated team at Upon Occasion! I not only met and worked with the best wedding planner in the industry, but I also made a friend for life. We can’t express the gratitude for all that you’ve done for us. You made our day exactly the way we always imagined it would. You always go above and beyond, your advice, and expertise is flawless. We are so blessed to have had you by our side, every step of the way. If we could do it all again, we couldn’t have ask for a better person to be with us, and to share the biggest day of our lives. You truly became a dear friend to us, and we can’t thank you enough. You are the best gift a couple planning a wedding could give themselves. Thank you for going far and beyond your role. This became evident when we found out that you single handedly cleaned up all the geese droppings at the front porch of our church while our ceremony was taking place inside. You wanted our wedding to be perfect and you accomplished it. Everything was on time and flowed smoothly. It felt effortless and easy because of your commitment to our happiness. Saying thank you can’t express enough our gratitude for your professionalism and caring touch. Words cannot express our gratitude to you for all your help leading up to and the day of our wedding. Your time, counselling, valuable advice, and most importantly patience through all the craziness is truly appreciated. So thank you from the bottom of our hearts for keeping us on track and sane. 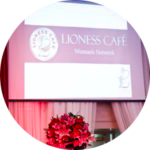 I’d like to thank you for your invaluable efforts, knowledge and tireless enthusiasm in helping us organize the Lioness Woman’s Club Charitable Foundation Gala in November of 2011 at Chateau Le’Jardin. Your hard work, dedication and attention to detail played a big role in making our event such a success. From my first meeting with Libby, it was immediately apparent that I would choose her to help plan my wedding. She came into the first meeting with many wonderful ideas, but more importantly, she took the time to get to know me and my fiancé as a couple and helped us begin to visualize what we wanted our wedding day to look like and feel like. 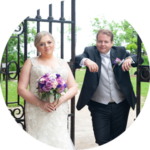 Libby was a consummate professional, she not only handled our flowers, linenes, table settings, guest lists, venue contract and other important details, she also kept us organized with our small tasks and time lines that were necessary for the wedding to come off as we hoped. She even went out of her way to help my family organize my bridal shower! Not only did I have the wedding of my dreams, I also got to make a lifelong friend in the process. Thank you Libby and Upon Occasion for all your hard work!